These are the, until now, unpublished cases of Sherlock Holmes, written as ever by his faithful friend Dr Watson. It fills some of the gaps left in many of the existing tales, ambiguous asides and comments which were never explored, cases referred to and never written up. From the story of "Baron Maupertuis" to the "Mystery of the Mumbling Duellist", Sherlock Holmes investigates them all with his usual clinical detachment and academic brilliance. The connection between a hard-up widow and Moriarty, Holmes' deadliest enemy, is deftly dealt with, whilst the claims of a mad sailor on the disappearance of a ship are tactfully addressed. Each tale lives up to its title, exploring those past references which readers always wondered about, things previously only alluded to such as the disappearance of James Phillimore whilst going to get an umbrella and the "singular affair of the aluminium crutch". Whilst Watson is perhaps given more of an intelligent role than in Arthur Conan Doyle's original tales, Paul D Gilbert has really captured the essence of Sherlock Holmes and his mannerisms. Arrogant and irritating, frequently keeping his conclusions back until he is sure of his facts, and bored when not challenged, this is a true homage to the original character and his inventor. Also, unlike some "copycat" writers, this recreates Doyle's London without many of the anachronisms often present in historical works and particularly pastiches. 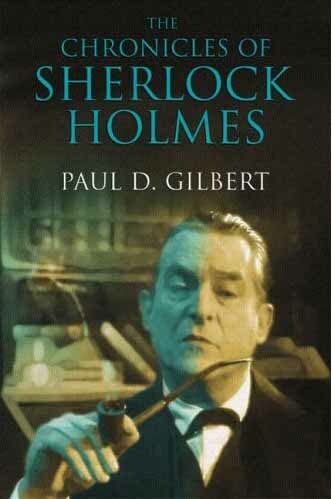 Paul D Gilbert is clearly a fan of Sherlock Holmes and the writing of Arthur Conan Doyle and in these chronicles has produced a collection of tales which really add to the Holmes legacy. Reading this series of stories sent me back to the originals and reminded me how much I enjoyed them when I first read them many years ago.